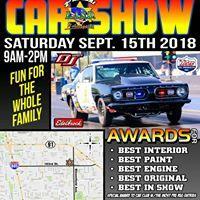 The LASD car show will be held this Saturday, September 15, 2018 at Cerritos Sheriff Station located at 18135 Bloomfield Ave, Cerritos. The proceeds from the car show will go towards the LASD Motorsports Scholarship Fund for Automotive Technologies for those who are pursuing studies leading to a career in the automotive industry. LASD Motorsports is now in our 21st year with our racing/educational program. Our goal is to help the youth achieve their academic dreams. As automotive technology becomes increasingly sophisticated, automotive professionals must grow and learn new skills to help master the complex vehicles of the future. The career opportunities for highly trained automotive technicians will continue to expand with this technology. This Family friendly event is from 9am until 2pm.